I still remember the day 20 years ago when my parents took my brother and I to see Jurassic Park. We waited in line for 3 hours to see it on an IMAX screen eating our oversized dinosaur egg jawbreakers giddy with anticipation. 20 years later and I’m back, sitting in front of another IMAX screen about to watch my favorite movie from childhood remastered for 3D. Will it be as good as I remember? How well will the 20 year old CGI technology hold up against current special effects I’m used to seeing in every movie from Avatar to Toy Story 3? 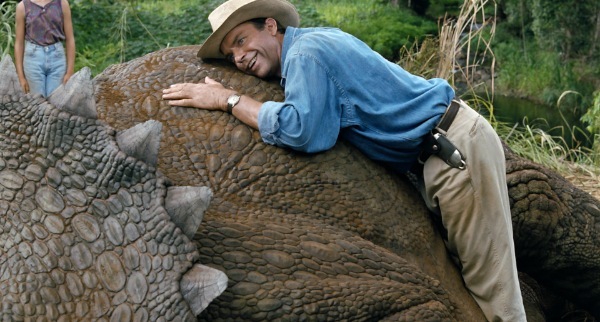 I am delighted to report that Jurassic Park is still an amazing movie going experience and the 3D remastering of this classic movie was worth the 20 year wait. 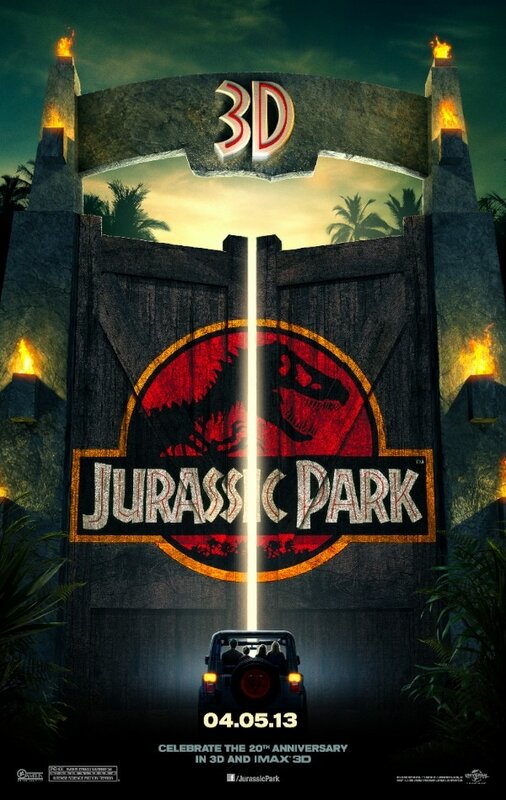 Even though the 3D format was unimaginable when Jurassic Park was originally released 20 years ago, this is a movie that is made for the 3D genre. The amazing cinematography of the original film combined with the incredibly detailed 3D remastering makes for a truly unforgettable movie experience. Jurassic Park, directed by the legendary Stephen Speilberg (Jaws, War of the Worlds, Lincoln), was originally released in 1993 and starred Sam Neill (Bicentennial Man, Jurassic Park III), Laura Dern (I Am Sam, Little Fockers), Jeff Goldblum (Morning Glory, Law & Order: Criminal Intent), Samuel L. Jackson (The Avengers, Django Unchained) and Richard Attenborough (Miracle on 34th Street, Elizabeth). This iconic film was based on a novel by Michael Crichton and spanned an award winning soundtrack and two sequels: The Lost World: Jurassic Park and Jurassic Park III. 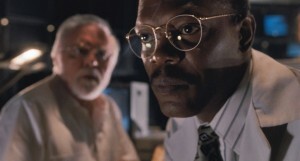 Jurassic Park tells the story of the creation of the ultimate theme park experience, a resort island where you can interact with real live dinosaurs brought back from extinction through the miracle of cloning and dinosaur DNA extracted from mosquitos in amber. 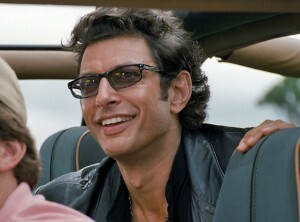 The island’s creator John Hammond (Richard Attenborough) invites paleontologists Dr. Alan Grant (Sam Neill) and Dr. Ellie Sattler (Laura Dern) and chaos theorist Dr. Ian Malcolm (Jeff Goldblum) along with his grandchildren Lex and Tim to the island to the island to give feedback for the investors. 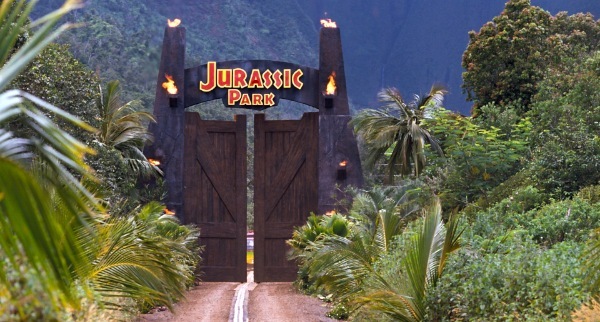 Unfortunately for the island’s visitors, the awesome power of dinosaurs cannot be contained and what follows is a harrowing adventure to navigate and survive Jurassic Park. 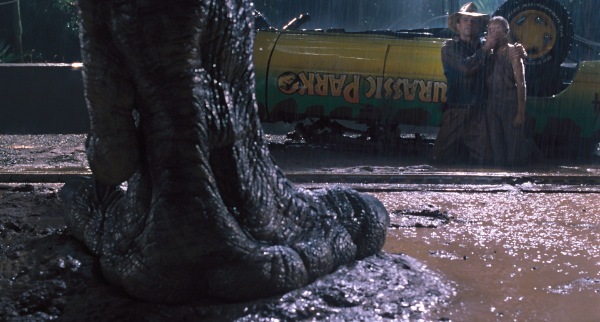 One of the most amazing things I found about Jurassic Park in 3D was how well the story, technology and CGI held up 20 years later. 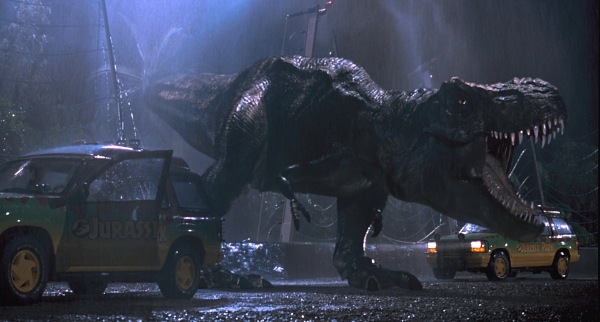 The advancements in film in the past 20 years have been incredible so I was pleasantly surprised to find that the CGI in Jurassic Park could easily pass for a movie that was released today. The dinosaurs in particular (pictured above and below) remained as amazing and lifelike as I remembered when I first viewed the film as a child 20 years ago. Even more surprising, the technology that they used in the film was an amazingly accurate prediction of technology that we are actually using today. Aside from the lack of flat screens in the control room and one comically dated line that drew nostalgic chuckles from the audience, (“Look, and interactive CD Rom!”), the electric cars, touch screen computers and GPS vehicle tracking technology all seemed impressively familiar. 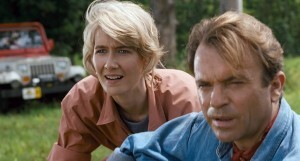 Jurassic Park in 3D hits theaters and IMAX April 5th nationwide. For more information or to get your dinosaur fix, visit Jurassic Park 3D online or head to a theater near you and experience a 3D movie event 20 years in the making.